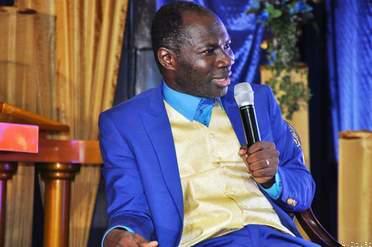 Prophet Badu Kobi who is the Spiritual leader of the Glorious Wave Chapel International, Prophet Emmanuel Badu Kobi has predicted doom for Nigeria ahead of the country’s elections. The Lord shall meet you at the very point of your needs. The lord will help you out of your present trouble and suffering. Helper that will settle all your debt,cancel your insult,relocate you to your destinations shall locate you before the end of month in the name of Jesus. May God shower His blessings that make rich without sorrow on you. The lord will bless you indeed and you will turn to blessing to people that come in contact with you. In blessing, the lord will lift you up and never you will come down again. In righteousness the Lord shall establish you. Because you have suffered a while,you will be fully settled by God Almighty today. Settlement that will make you forget all your past ridicules and insult. No weapon of the enemy formed against you shall prosper, everyone that rises up against you shall fall for your sake. Power that your enemy uses to fight you will catch fire now. Power that attacks you before will die now. Every pit the enemy has prepared for you, they shall replace you there. Your enemies will make the mistake that will cause them to fall and never rise again. Today, come out of that pit that you have fell into by fire in Jesus name. The Almighty God will lead you into a new phase of grace and glory this year. A new era of joy and happiness you can never imaging. A new period of serene peace and good health that will cause confusion for your enemy. God will direct you to a new turning around that will grant you those lofty goals that you have prayed for. Those outstanding achievements that you want and those indelible marks of greatness that you want to make in life in the name of Jesus. Your destiny helpers will not reject your request today. Winds of favour will rise from all corners of the world and locate you. You will dig and find water. You will plant and reap plenty. God will open doors of opportunities for you and your family. The presence of God shall go with you and His hand of love shall be upon you for good. You will not be a cast out in the midst of successful people. You will remain unstoppable in the name of Jesus Christ. As the sun rises daily, so shall your greatness and glory rise and never set. As the sun set in the evening, your problems and enemies will set and never rise again. Divine blessings,the highest grace,everlasting joy, and the mercy of god will be your portion in Jesus name. Act 10:38" How God anointed Jesus of Nazareth with the Holy Ghost and with power: who went about doing good, and healing all that were oppressed of the devil; for God was with him". Matthew 4: 23" And Jesus went about all Galilee, teaching in their synagogues, and preaching the Gospel of the kingdom, and healing all manner of sickness and all manner of disease among the people". Psalm 107:20" He sent his word, and healed them, and delivered them from their destructions. The lord God Almighty will heal all wounds and spiritual bullets sustained from attacks of the enemy. Every hidden potential and gift that will make you great in life will manifest this year. Every spell and demonic incantations rendered against you is cancelled by fire. I command every tree of problem in your life to dry up to their root. The lord will give you solution to every problem facing you and your households. I command every good doors closed against you and your family to be opened by force. Fire of the most high God will consume every evil clock of the enemy that is working against you and your households. Every parasite feeding on any area of your life and family to be roasted by fire. The lord will carry out all the repairs that are necessary in your life and family. Heavenly surgeons will perform the necessary surgical operations in every area of your life and family in Jesus mighty name. Numbers 23:23" Surely there is no enchantment against Jacob, neither is there any divination against Israel: according to this time it shall be said of Jacob and of Israel, what hath God wrought". Jeremiah 29:11" For I know the thought that I think toward you, saith the Lord, thought of peace, and not of evil, to give you an expected end". Every negative pronouncement against your breakthrough is reversed. The enemy will not frustrate your efforts to the top any more. The lord will enlarge your coast beyond measure this year. Your expectations will come to fulfillment and manifestation this year. Your helpers will not reject your request again. Wind of favour will rise from all corners of the world to locate you. Doors of opportunities will be opened unto you this year and ever more. Grace of God will keep you this year in Jesus name. Jeremiah 29:11" For I know the thoughts that I think toward you, saith the LORD, thoughts of peace, and not evil, to give you an expected end"
JESUS the Owner of joy will visit you with everlasting joy. JESUS the reason of this season will give you reasons to celebrate now and years to come. JESUS the greatest Helper will meet you at the point of your needs. The only One with promotion ability will move you to your next level. 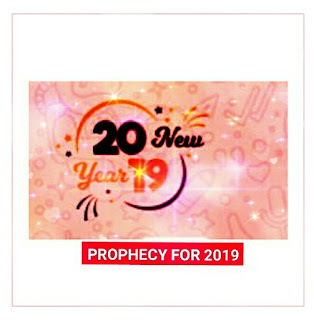 The Almighty God who has divine connections will connect you to your destiny helpers before the end of this year. The only One who can comfort and bring laughter will intervene in that your confusing situation. The King of kings who has power to deliver the oppressed will turn your shame to glory. God will put them that are waiting for your downfall and disgrace into everlasting confusion and shame. No matter what your enemy do or plan for you, you will end and finish strong in Jesus name. 3 John : 2" Beloved, I wish above all things that thou latest prosper and be in health, even as thy soul Prospereth". Poverty as sickness in your life will be destroy completely by fire. Backwardness as sickness in your life will leave you alone. Curses standing as sickness in your family will depart and never come again. Forces of darkness giving you injection of evil as sickness will get away from you and your households by fire. Sickness of loneliness in this life, carry your load and leave this life alone. 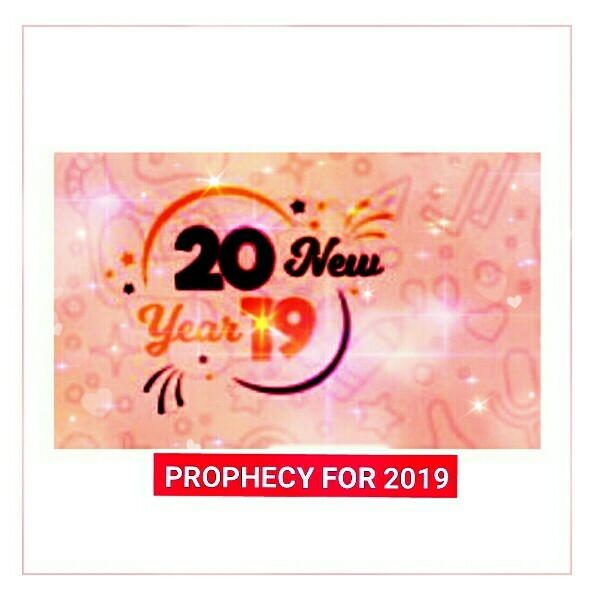 Sickness of delay in your life and marriage will perish with this year and never enter the new year with you. Sickness of all round barrenness, dry from your root and never torment this life again. That sickness that has giving you name will relocate elsewhere and never locate you any more. River that flow into your life and cause sickness for you will flow back and dry forever. Whosoever that knows about that sickness in your life will end her life with this year. Garment of sickness on your body will catch fire and burn to ashes in the name of Jesus Christ. Isaiah 60:1"Arise, SHINE; for thy light is come, and the glory of the LORD is risen upon thee". The glory of God will shine upon you now and evermore. Power prevent you from shinning will be totally destroyed today. That glory of yours in the mud will come out to limelight. Your glory and the one of your family will not be hindered to shine any more. Whosoever using your glory to shine will perish with this year. Your glory that has been borrowed will be restored back to you. Your glory and benefits that has travelled will come back to you. Your life will never lack God's glory anymore. Your new era of progress, joy, victory, elevation will start today and never seized. Your gate of generational and abundant blessing will open continuously and never shut again. The riches of the gentiles will come to you and your household. The face of God Almighty will shine on you forever. The lord will give you peace of mind in the midst of every storm of life in Jesus name. Job 36:20" Desire not the night, when people are cut off in their place. 1. Say Father every battle of the night in my life, let them perish with this night. 2. I buy back my lost glory and virtues from the market my darkness tonight in the name of Jesus. 3. Say fire of God, roast every chain tying down my glory/star in the evil kingdom this night in Jesus name. 4. Captors of my glory,virtues and blessing, by the authority in the name of Jesus, release them by fire tonight. 5. I enter into the strong room and the warehouse of the captors of my glory, I recover my glory and blessings tonight by fire. 6. Say fire of God Almighty, fight all my battle today. 7. Plead the blood of Jesus to the 4 corners of your room. 8. Arrow of battle targeted at me and my family today, back fire! 9. Battle that turn me to beggar,get out of my life. 10. Evil altar raised against my life at night, catch fire today. 11. Seed of loneliness planted into my life, leave my life alone! 12. Fountain of battle in my life, dry completely today. Whatever you do, you must stay in faith, that God's power will still show up and that He will show you incredible kindness and favour! Revelation knowledge is the key to the closed doors of your life; it doesn't matter how big the door is, when you have the key, you are going through! The Bible said on ( prov 28:21), "Death & life are in the power of the tongue: and they that love it shall eat the fruit thereof." This is the key! The Bible said it plainly, that we will experience the fruit of our lips! There is no need for competition with others because you go up by your words! People cant hinder you from receiving what is yours! You make your way prosperous by your words alone! God wants to turn your life around until it looks like a dream! What would your life look like if it was your dream? Start saying it because your future will look like the words you say now! You will have a new future because you choose different words! Be Blessed! 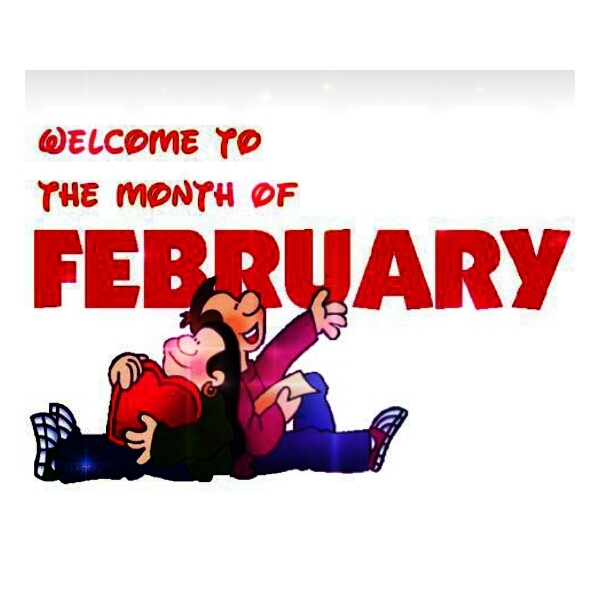 [ 1 ]This month, you shall experience angelic ministration of divine intervention in the mighty name of Jesus. [ 2 ]Galilee means 'revolution' & Nazareth means 'separated, crowned'. 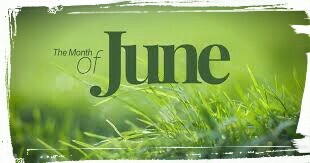 This month, the Lord will cause a revolution that will crown all your efforts with outstanding success in the mighty name of Jesus. [3 ]The angel of God brought Good News to Mary. 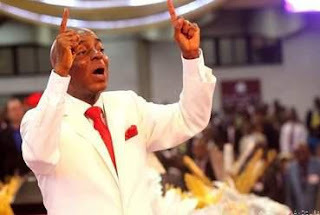 From this month henceforth, you shall receive good news and take the delivery of the testimonies in the name of Jesus. [4 ]Terrifying and unbelievable miracles shall be your portion this month as it was for Mary in the mighty name of Jesus. The angel told Mary, _"for thou hast found favour with God"_. This month is your month of favour with God and men in the name of Jesus. Mary's miracle announced the miracle of her cousin. This month, your miracle will announce the long overdue promises of your family and loved ones in the mighty name of Jesus. Vs 37 says, _"For with God nothing shall be impossible"_. This month, you shall operate in the realm of possibility because God is on your side. 14.Every violent storm that followed you into this convention is over NOW in Jesus Name. 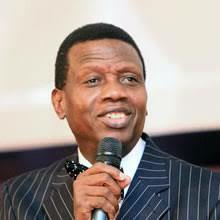 25.Wherever they are classifying stagnated people, you shall never be there in Jesus Name.